Winnie and Helen have kept each other's worst secrets for more than fifty years. Now, because she believes she is dying, Helen wants to expose everything. And Winnie angrily determines that she must be the one to tell her daughter, Pearl, about the past—including the terible truth even Helen does not know. And so begins Winnie's story of her life on a small island outside Shanghai in the 1920s, and other places in China during World War II, and traces the happy and desperate events tha led to Winnie's coming to America in 1949. 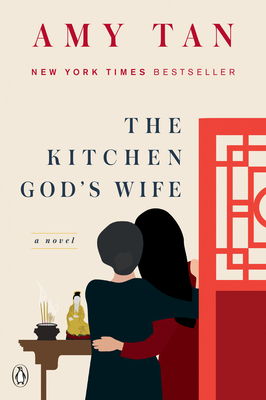 The Kitchen God's Wife is "a beautiful book" (Los Angeles Times) from the author of bestselling novels like The Joy Luck Club and The Valley of Amazement, and the new memoir, Where the Past Begins. Amy Tan is the author of The Joy Luck Club, The Kitchen God’s Wife, The Hundred Secret Senses, The Bonesetter’s Daughter, The Opposite of Fate: Memories of a Writing Life, Saving Fish from Drowning, The Valley of Amazement, and two children’s books, The Moon Lady and The Chinese Siamese Cat, which was adapted into a PBS television series. Tan was also a coproducer and co-screenwriter of the film version of The Joy Luck Club. Her essays and stories have appeared in numerous magazines and anthologies, and her work has been translated into thirty-five languages. She lives with her husband in San Francisco and New York.